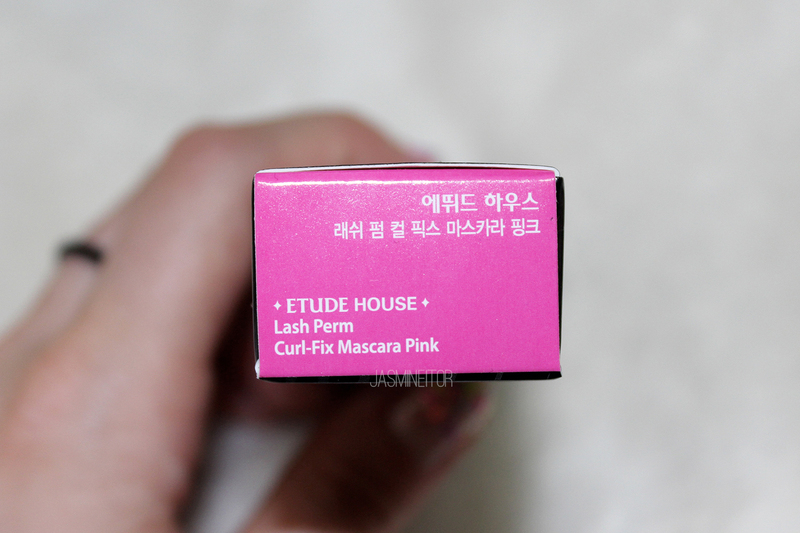 Today I will be talking about all of the pink eyeshadow I picked up from an Etude House event, as well as the Curl Fix Mascara in pink!! 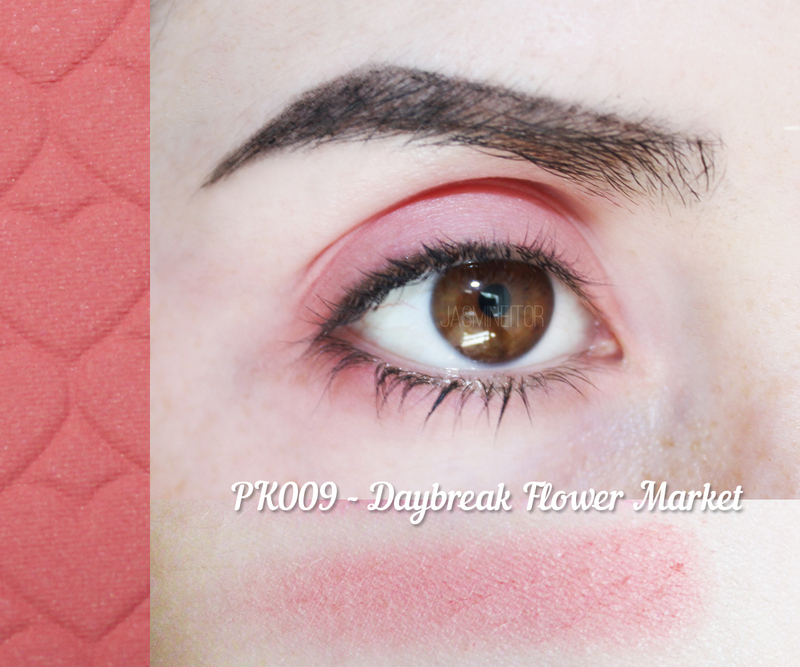 Currently in Korea, pink, coral, and red eyeshadows are the trendy colour for your eyes which is great for me because I love these colours!! They add such an eye-catching pop to your look and are great for summer. They can also be mixed with darker colours to create a more mysterious look for autumn/winter months, as you will see in a look I did at the end of this post. 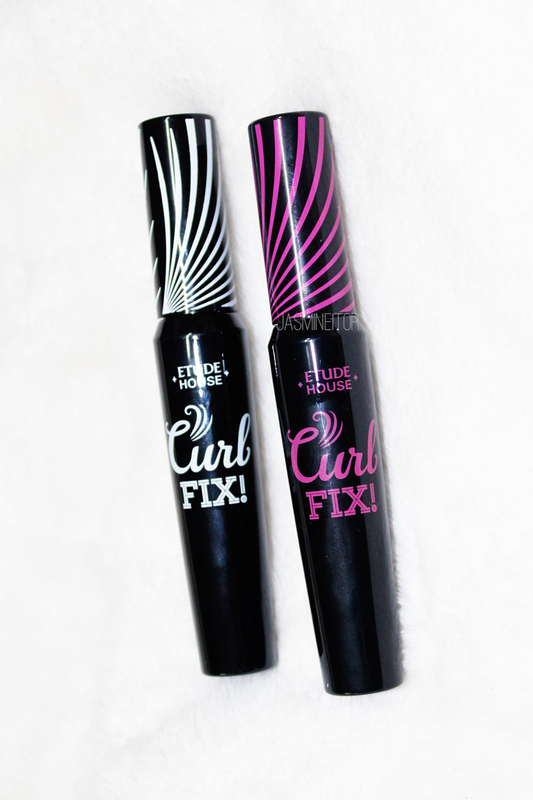 When hearing about the Curl Fix line, I had been super excited to try out the pink and burgundy shades! Upon seeing the burgundy in the store and deciding it wasn’t as red as I would have liked, I ended up just getting the pink one. Coloured mascara was something I had never ventured into, and I wasn’t sure how to go about it. I ended up winging the look you’ll see below, and am quite satisfied with how it turned out! The wand! 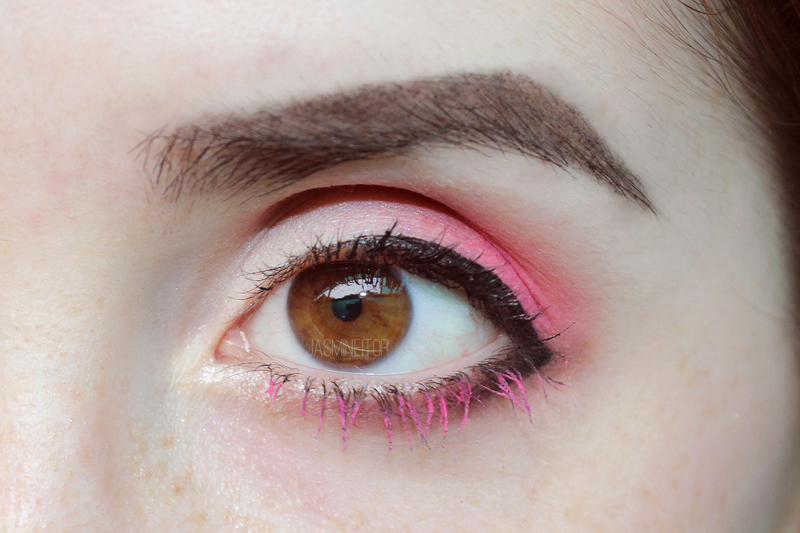 Unlike the burgundy, there is no doubt that this mascara is BRIGHT pink! Like the black mascara mentioned in my previous post (here! 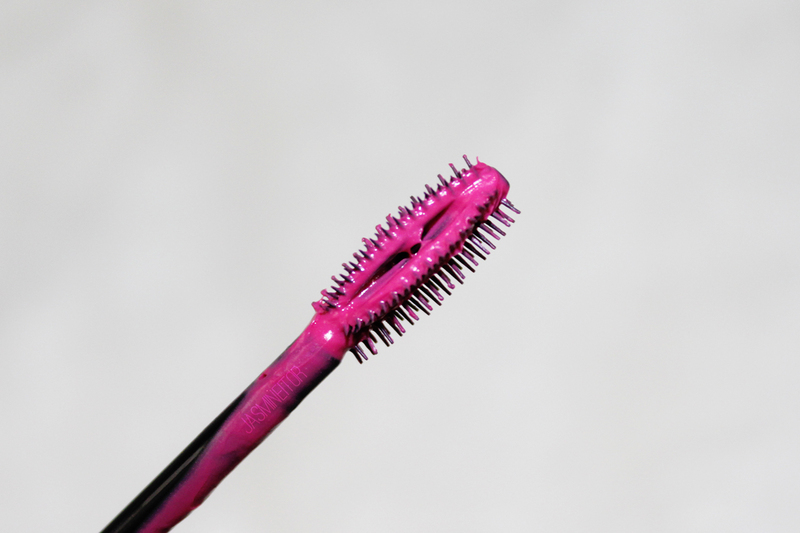 ), the pink mascara has two sides to the wand, and thus should be applied in two steps. Just like the black one, step 1 (left) is used for dragging the product through the lashes for a lengthening effect, and step 2 is for adding volume! This is the look I put together with this mascara! I find that the mascara works best with pink or black shadows. I imagine reddish browns can also work nicely but I find it works best either as the focal point contrasting a dark/simple eye, or blended together with various pinks like I did here. 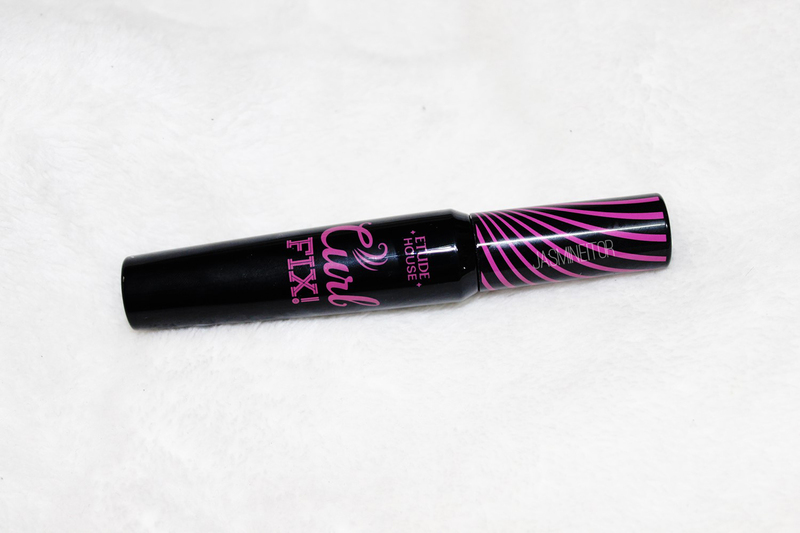 I made the mistake of applying the pink mascara on top of my black mascara… 🙁 I definitely think it should be applied on its own, since the Curl Fix line already has great volumizing/lengthening power! 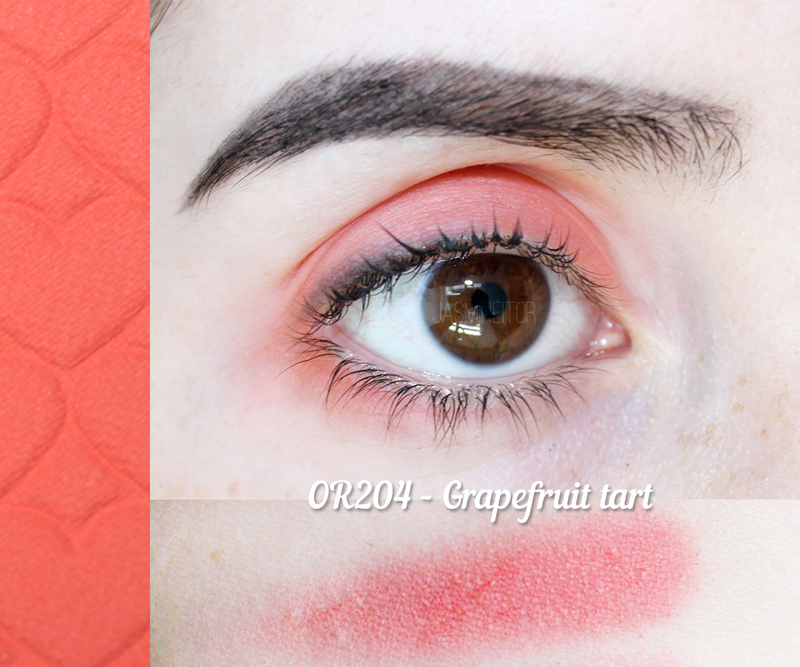 I used Etude House’s Honey Milk in the inner corner, Grapefruit Tart (see below!) 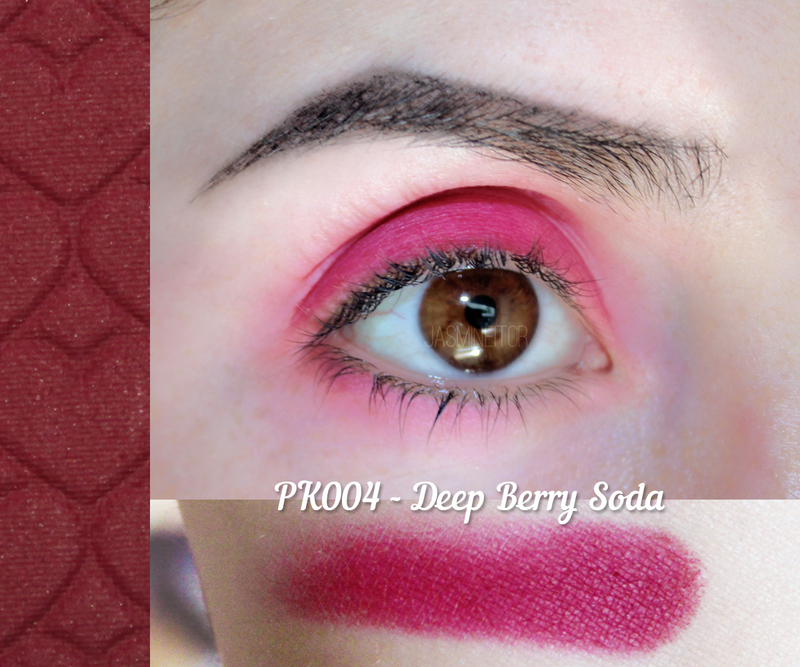 in the middle, Berry Berry Soda on the outer V, and blended it all together in the crease with Daybreak Flower Market. Final verdict on the mascara: Pretty satisfied. I find it works just as well as the black Curl Fix mascara, and adds a cute pop of colour to any look. Very unique! My only issue is once again, that it is very hard to get off 🙁 I wish I knew how to solve this problem, as in theory the Curl Fix line is AMAZING, but so hard to get off your eyes that I find myself not reaching for it unless it’s a special occasion. However, as I only put the pink mascara on my lower lashes and thus apply a lighter coat, I do find it a lot easier to get off than the black one! Next I will talk about the shadows! 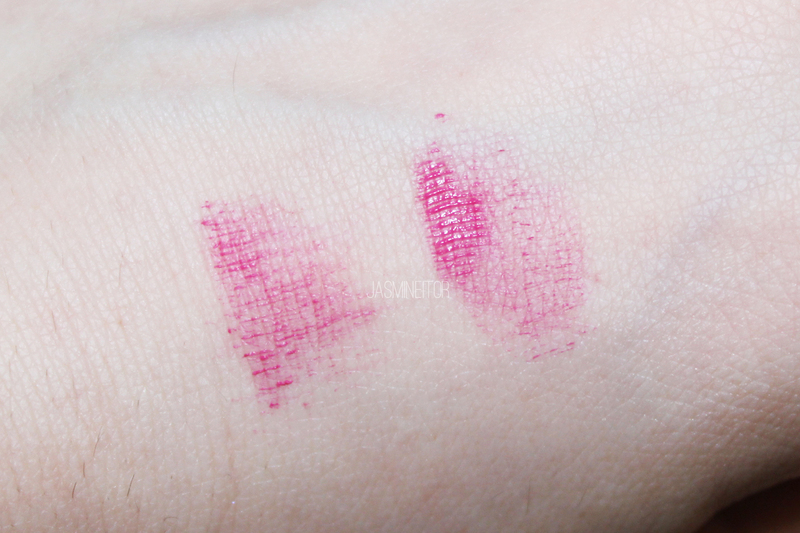 As you can see, Etude House once again delivers great pigmentation for a great price. Because of the toning of these shadows, I feel they are quite versatile and many would work well on both cool and warm tone skin types. There are many variations in the undertones of each shadow, and there are warm tone versions of some of these shadows available at the Etude House store! I decided to try something a little different this time and get creative with my presentation of the swatches! I swatched each shadow on my arm, as well as on my eye. Anyway, first up we have Berry Berry Soda. 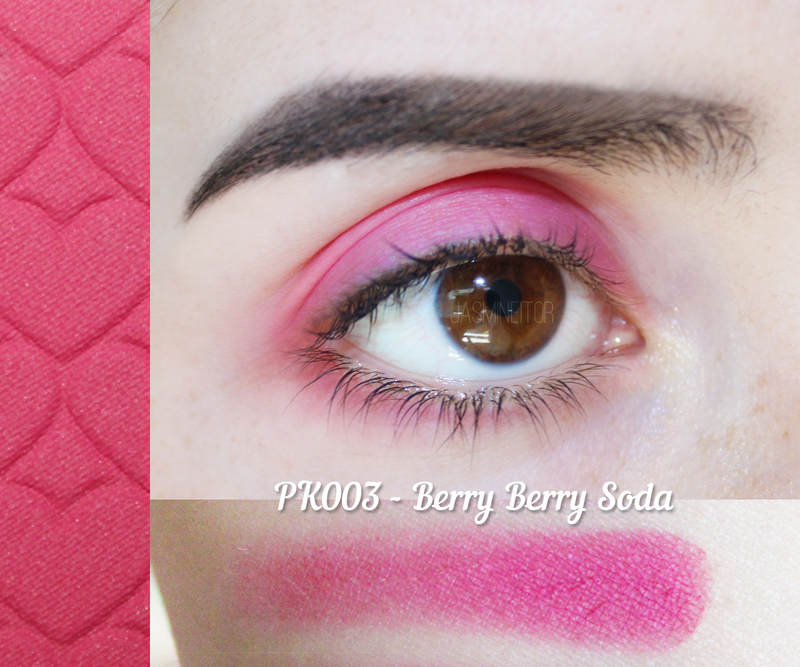 A vibrant, cool-toned pink that is dark enough to not make you look tired, and adds a cheery pink glow to any look! One of my favourites out of all of my purchases. 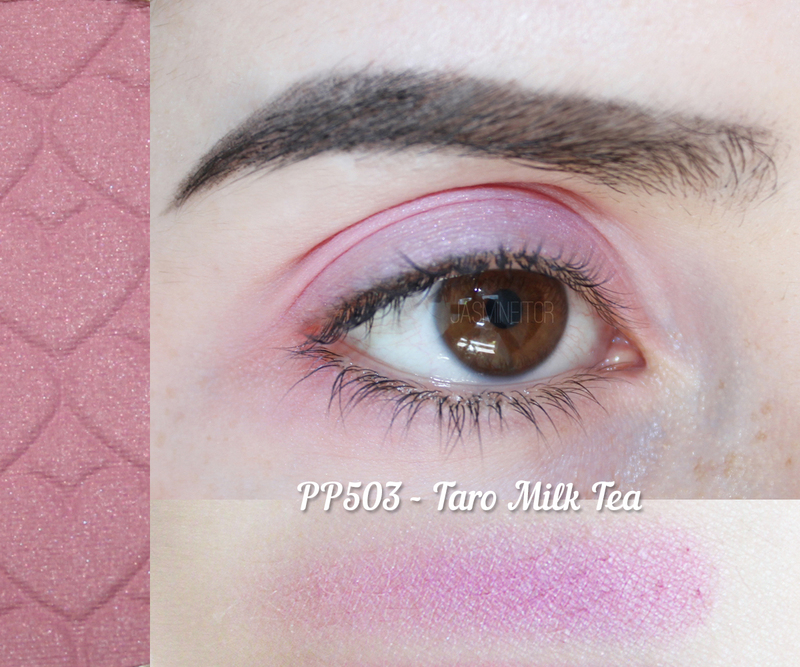 It’s so pretty on its own as a standalone shadow, or as a pop of colour in a gradient eye look. I had originally wanted to present the swatches in order from darkest to lightest, but figured that doing them in order of their product numbers made the most sense. Next is Deep Berry Soda. I had a terrible time trying to take pictures of this shadow as the colour wouldn’t come out properly on my camera 🙁 But this is one of Etude’s most popular shadows, and you can see why! Despite looking very dark burgundy in the pot, it is a gorgeous, berry shade that is amazing on its own or mixed with other shadows. It matches well with both warm and cool tones, although I like mixing it with cool shadows the most. It can be used in both summer and winter! A very versatile shade that lives up to its popularity. 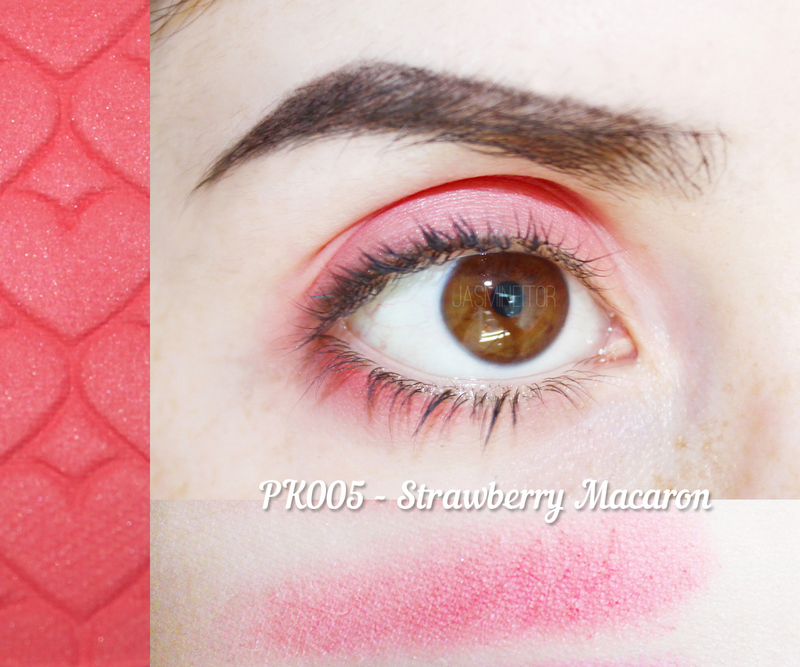 Strawberry Macaron is a pale pink that is good for the center of the lid, or as a subtle wash of colour over other shadows. Used on its own I find it leans dangerously close to “my eyes are sore” territory, but mixed up a bit it is very pretty. This shadow is not entirely matte, with very slight white sparkle. Next we have Bikini Pinkade (yeah, idk…) which, while still being pale pink, is much more cool-toned than Strawberry Macaron. This shadow also runs the risk of making your eyes look tired if used on its own, but when used with other shades as a gradient looks very nice! It looks similar to Berry Berry Soda at first glance when packed on, but is more sheer than the former. Great for cool-toned skin. Another favourite! This shade is a pale dusty rose, a current love of mine 🙂 It works great on its own, but I personally like to use it as a blending shade with my pink-toned looks as it really brings everything together. Now for the non-pinks! 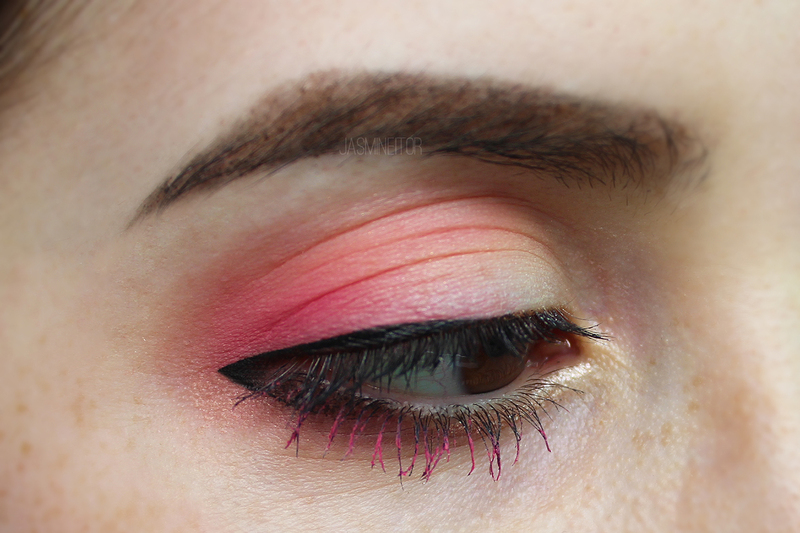 Grapefruit Tart is a pink leaning coral which is another extremely popular shadow. I had to actively seek this one out as it was sold out in several stores 🙁 but definitely worth the search, as it’s such a fun colour for summer, and actually a very trendy tone at the moment in Korea! Last we have Taro Milk Tea, which is the least matte of the bunch. As you can see in all 3 pictures, it has some white sparkle in it! Personally I wish it was completely matte but either way, it is a shadow that is very versatile. It is similar to its cousin, PP501 Sweet Potato Latte, but is much more pale and warm toned. Another great blending shade that also suits well for the lower lid. I must say that the lighting where I’m staying is amazing *ㄱ* This is a look I did a few days ago using Deep Berry Soda all over the top and bottom lids. Other shadows are from Kat Von D’s Shade & Light Eye palette (OBSESSED!!) 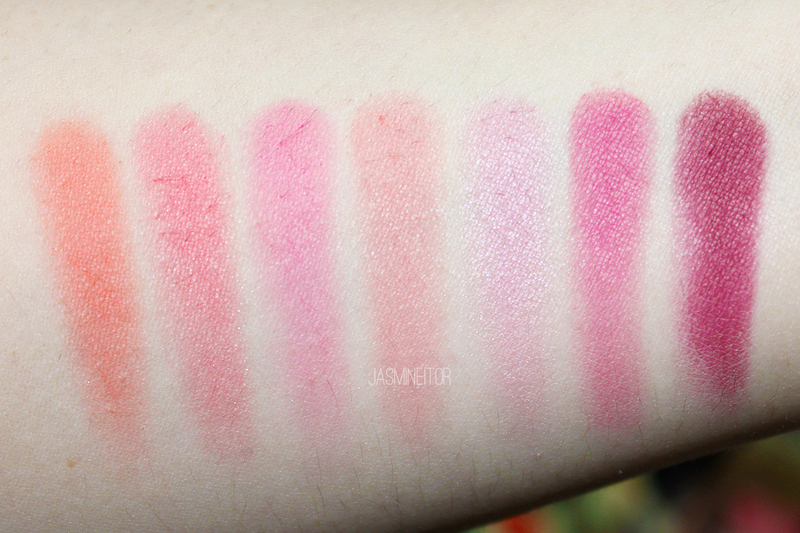 and the white is ColourPop Cosmetic’s Bites. 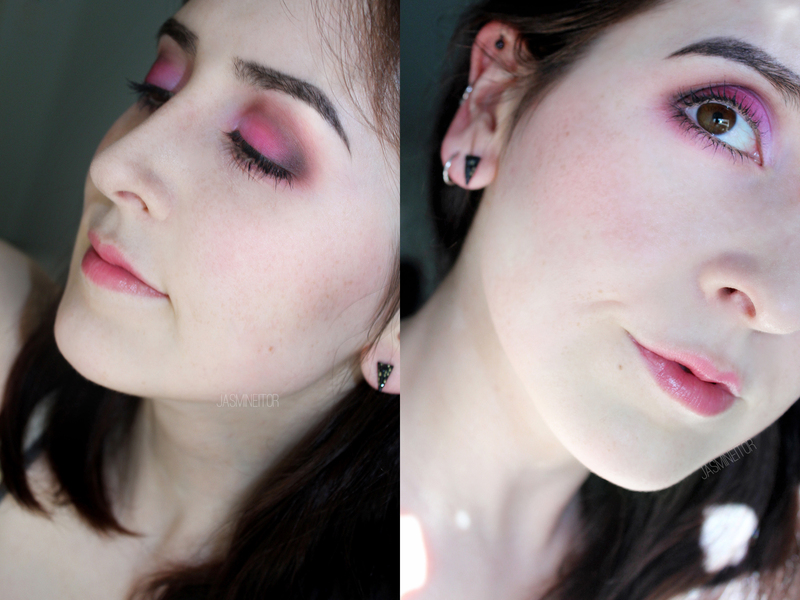 This pink can be used both for light summer looks, as well as for more dramatic smokey looks as I used it here. I find it be such a flattering colour on brown eyes! 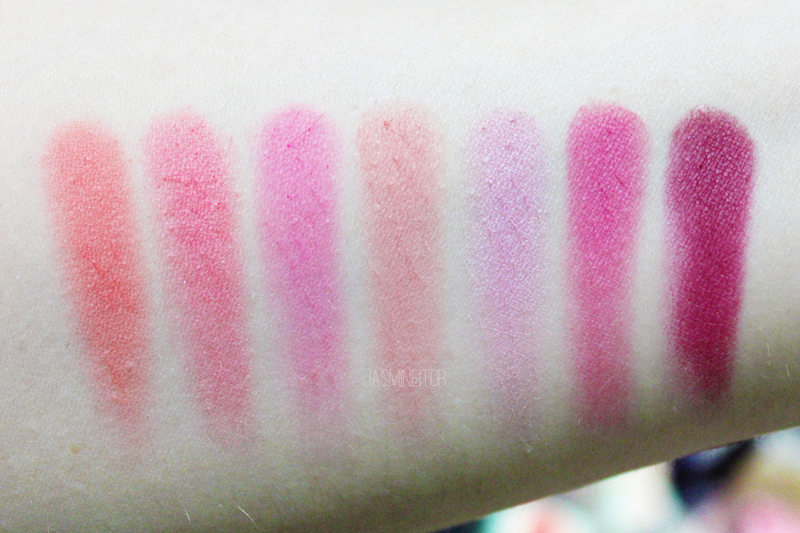 Paired with Etude House’s Liquid Lips in Beige in Chic which I reviewed here.